The granting of parole to Apartheid killer Eugene de Kock and the renaming of a Cape Town street after FW de Klerk has provoked high emotion and debate. Rightly so. Dialogue and interrogation of issues is how the nation maintains its dynamism and ensures awareness and accountability. The problem is that much of the debate is based on conjecture, conventional wisdom and recycled information, and far too little on facts. Hence we are still debating whether De Klerk ended Apartheid and consider Mangosuthu Buthelezi to be a sweet old man, known for long speeches. Distorted history leads to distorted dialogue. And forgetting leads to injustice. By RANJENI MUNUSAMY. Get Inkatha Freedom Party (IFP) leader Mangosuthu Buthelezi within reach of a microphone, and you will no doubt be regaled with his version of history. It is usually about how he was encouraged by the ANC to establish Inkatha inside the country to oppose the Apartheid regime, and how he then became one of the foremost liberation fighters. Buthelezi rarely fails to mention his relationship with Nelson Mandela and how much of a contribution he made as a minister in Mandela’s cabinet. What you will never hear Buthelezi speak about is his tin-pot dictatorship as a homeland leader and how he presided over a civil war, fuelled by the Apartheid state that led to thousands of deaths in KwaZulu-Natal and the East Rand. Buthelezi will never utter a word about Operation Marion, a military intelligence project set up by the South African Defence Force to assist Inkatha and the KwaZulu government. There is never any reference to the covert training Inkatha members received in the Caprivi Strip, which gave them the skills to wage a campaign of violence and terror. Buthelezi fought to suppress parts of the Truth and Reconciliation Commission (TRC) report that found that the IFP under his leadership was the “primary non-state perpetrator… responsible for approximately 33 percent of all the violations reported to the commission”. The protracted legal battle led to the TRC publishing an appendix to its final report, reflecting the views of Buthelezi and the IFP. The signing of a peace deal between the ANC and IFP in the mid 90s and the cessation of violence in KwaZulu-Natal allowed Buthelezi the opportunity to revise his legacy and expunge his dastardly deeds from the public consciousness. 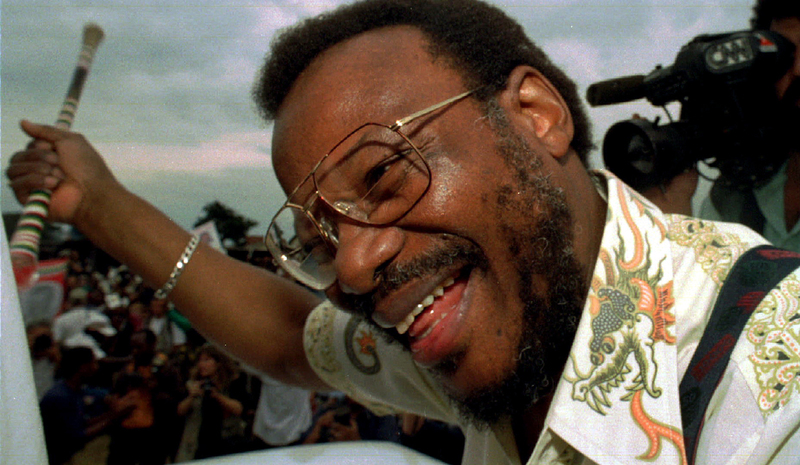 It served the ANC to indulge Buthelezi, as neutralising him enabled it to steadily take over power in KwaZulu-Natal. Buthelezi has metamorphosed into a meek, wily old Member of Parliament, who occasionally intervenes to call other MPs to order and scolds them bringing shame to our hard-fought democracy. Nobody dares call Buthelezi out on the hypocrisy. People have learnt to humour him in his reformed character as a respected elder leader. Buthelezi is also extremely sensitive to criticism and often fights back with long, painful missives and occasionally legal action. He has several successful defamation suits under his belt. Buthelezi, it must be noted, has a highway named after him in Mlazi, a township in Durban where political violence raged for years. There is also a university of technology that bears his name. The vitriol directed at FW De Klerk has yet to be chanced on Buthelezi. Perhaps people are just scared of him. In the current discourse about Apartheid culpability regarding its last president De Klerk and chief assassin Eugene de Kock, the debate hardly extends to everybody else who sucked at its teat. Perhaps De Klerk and De Kock are soft targets because they don’t fight back. Perhaps they are so fatally flawed that they deserve to get all the blame. Perhaps the fact that they keep invading our democratic space – one seeking relevance and the other absolution – means that can be constantly hammered. The fact that De Klerk was bestowed with a Nobel Peace Prize jointly with Nelson Mandela is a constant source of aggravation, and many people resent that an Apartheid’s last custodian was awarded the globe’s most prestigious award. We also hate the fact that it diminishes Madiba’s receipt of the prize because it equates their contributions to creating a free and democratic country. But did De Klerk nominate himself for the award? Could he have declined it? At the time the prize was awarded, 1993, South Africa was in the midst of a political transition and intensive negotiations towards the first democratic elections. This process was derailed several times, not least of which through the violence perpetrated by De Klerk’s underlings in the Apartheid security machinery. The Nobel Prize citation explains why they received the prize then: “for their work for the peaceful termination of the Apartheid regime, and for laying the foundations for a new democratic South Africa”. Perhaps the Nobel committee did not understand fully what was going on in South Africa and the dirty tricks campaign being waged by De Klerk’s minions. Perhaps they did not consider De Klerk’s conservative past and his contribution to stunted Bantu education as Minister of Education. Maybe our derision should have been directed at the Nobel committee. Mandela could possibly have received the prize every year after that, until he could no longer participate in public life, for his campaigning for reconciliation and human rights. But they thought only to reward him for laying the foundations for a democratic South Africa. When the time came, De Klerk did surrender power to a democratically elected president peacefully and even participated in the new government for a while. Then he destroyed any chance of history being kind to him by censoring the TRC report, blocking out sections that referred to his culpability in Apartheid crimes. While De Klerk constantly draws contempt, there are other Apartheid henchmen whom we seem to take little notice of. The former head of Apartheid’s chemical and biological warfare project Wouter Basson lives happily amongst us and has been left to pursue his campaign to return to his cardiology practice in Cape Town. He faces little public condemnation, and in fact hardly features in public dialogue on Apartheid’s legacy. Perhaps, like Buthelezi, people are also scared to take him on. De Kock, contrary to popular belief, was not tried for political crimes committed during the Apartheid era. De Kock was considered to be a “traitor” by his own, and prosecuted as if he abducted, tortured and murdered people opponents of the regime on his own frolic. There was a deliberate attempt by the prosecution to suppress the political context so that his trial did not shed light on the crimes of the regime. So De Kock was tried and convicted for common law crimes, not political ones. De Kock has admitted to many of his crimes and has tried to make amends by apologising to some of the victims’ families and giving them information about what happened to their loved ones. He is one of the few people assisting with the TRC’s unfinished business, a process that has been neglected and undermined by the ANC government. The reparations process has been a sham and criminal cases emanating from the TRC process have not been pursued. A Priority Crimes Litigation Unit established by the National Prosecuting Authority is understaffed, and a Missing Persons Task Team is slow in the work of pursuing cases and finding the remains of missing persons. In granting him parole last week, Justice and Correctional Services Minister Michael Masutha said he had taken note of the fact that De Kock has provided and continues to provide the Missing Persons Task Team with assistance. In the discourse on this matter, there appears to be a perception that De Kock was pardoned rather than paroled. There is also latent anger at the fact that he did not face justice for all his crimes that that serving 20 years out of a 212-year prison sentence is a gross injustice. Clearly De Kock can never do anything in his lifetime to make up for the atrocities he committed or to earn wholesale forgiveness. But when you consider the prevailing sea of denial and amnesia around Apartheid-era crimes, De Kock is one of the few people on the side of the regime who owned up and is actively contributing to the healing process. On the whole, people would rather we forget the history that defines us and remember an airbrushed version that blots out the goriness. Even the ANC, who lost thousands of people and prominent leaders through political violence, seems content with historical amnesia and unfinished business. It has accepted former National Party leaders and turncoats into its ranks, and selectively classifies which of Apartheid’s collaborators to demonise and who to aggrandise. And so, history is allowed to undergo extreme makeovers, soft targets get pulverised by public opinion and victims are expected to forget and move on. Injustice prevails and future generations may never know the truth.